Origin John Clough Thresh isolated Capsaicin firstly. In 1919, E.K. Nelson determines the chemical structure of capsaicin. Capsaicin is a component which is usually found in various hot peppers like cayenne peppers which makes it spicy. It could be found in the form of dried powder, dietary supplements and topical creams. Capsaicin cream alters the pain messages which are transferred to the brain for relieving pain. 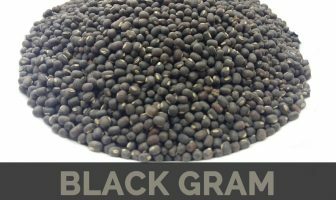 It could be used for relieving various pains from nerves to the skin surface. It provides temporary relief from the joint or muscle pain which is related with backaches, strains, arthritis, sprains and bruises. It lowers the amount of substance which forms pain in the human body. It provides relief from osteoarthritis and neuralgic pain as well. John Clough Thresh isolated Capsaicin firstly. In 1919, E.K. Nelson determines the chemical structure of capsaicin. In 1930, Stephan F. Darling and Ernst Spath synthesized it. Chili peppers are being used for more than 6000 years. Native Americans used to rub chili pepper pods to the gums which provide relief from tooth pain. It provides relief from joint and muscle pain related to sprains, arthritis, strains, backaches and bruises. It is also used to treat nerve pain. It is used to provide relief from neuralgia. Avoid if one is allergic to the ingredient found in capsaicin cream. Consult the doctor for use by pregnant, breast feeding woman, taking prescription, wound, damaged or irritated skin. If the side effects are severe then consult the doctor immediately. One should avoid the contact with nose, eyes and mouth. If it gets into eyes then it should be rinsed with cool water immediately. It should not be used for more than prescribed period. It should not be inhaled or swallowed. It might cause sneezing, coughing and respiratory or throat irritation. In case of severe itching or burning, wash it with cold water and soap. It should not be used by the children below 18 years of age. Along with capsaicin cream, an extra patient leaflet is accessible. It should be applied upto covering the affected area and should be massaged gently till the medicine disappears on the skin. After using capsaicin cream, one should wash hands with soap and water instantly. If it is used on hands then one should allow for 30 minutes to absorb before washing it. One should avoid touching the damaged skin, nose, eyes, mouth, mucous membrane and contact lenses during this time. After 30 minutes, you’re your hands. It should not be applied to damaged, irritated and broken skin or wounds. The affected area should not be wrapped or bandaged. It should not be used along with heating pad. The treated area should not be exposed to direct sunlight or heat because it might increase the chances of itching or burning. It should not be used soon after swimming, bathing, sunbathing, hot tub or after heat exposure. It should be used continuously as directed by physician or doctor. It is made from the pepper plant and is considered to be a painkiller. It is used topically to provide relief from the pain associated with rheumatoid arthritis, osteoarthritis and neuralgic pain. 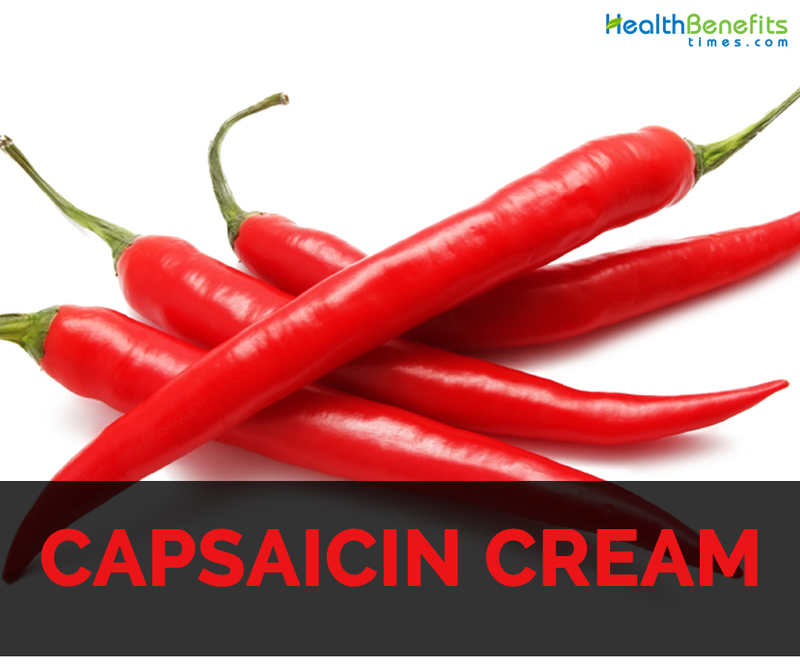 The topical use of capsaicin cream helps to provide relief from the pain. It stimulates and lowers the pain intensity in the body. Firstly, it creates stinging or burning sensation which might be unpleasant for some people. It is caused due to the release of pain transmitting chemical to the skin from nerves which is sensed by the body as stinging or burning. It does not cure the condition but could reduce the pain. It is available in form of lotion, gel, cream, patch, ointment, pad, liquid or stick. Native John Clough Thresh isolated Capsaicin firstly. In 1919, E.K. Nelson determines the chemical structure of capsaicin. In 1930, Stephan F. Darling and Ernst Spath synthesized it. Chili peppers are being used for more than 6000 years. Native Americans used to rub chili pepper pods to the gums which provide relief from tooth pain. It relieves joint, muscle pain related with sprains, arthritis, strains, backaches and bruises. It is also treats nerve pain. It provides relief from neuralgia as well. If people allergic to any ingredient found in capsaicin cream should avoid it. Pregnant, breast feeding woman, taking prescription, wound, damaged or irritated skin should consult doctor for use. If one experience severe side effects then immediately consult a doctor. While using this cream avoid contact with nose, eyes and mouth. If mistakenly it gets into eyes then rinse it with cool water immediately. Don’t use for more than prescribed period. It should not be inhaled and swallowed. Some may experience sneezing, coughing and respiratory or throat irritation. If itching or burning becomes severe then wash it with cold water and soap. It is not applicable for the children below 18 years of age to use this. Apply it covering the affected area and massaged gently. Wash the hands with soap and water after use. Avoid touching the damaged skin, nose, eyes, mouth, mucous membrane and contact lenses while using this cream. Don’t apply it to damaged, irritated and broken skin or wounds. Don’t wrap the affected area. Don’t use the cream with heating pad. The treated area should not be exposed to direct sunlight or heat. It should not be used after swimming, bathing, sunbathing, hot tub or after heat exposure. What is Cheerios and nutrition?